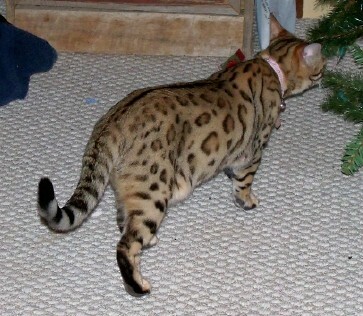 I have sold my cats to Dan & Melissa, "Cats In The Cradle Bengals." They are located in ND. 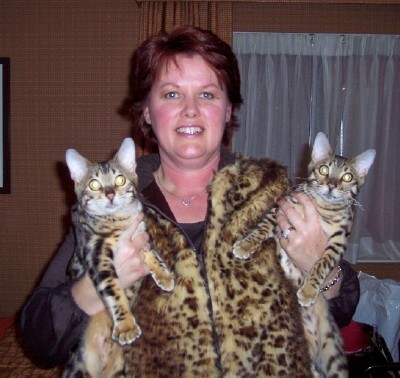 I no longer raise Bengal cats. 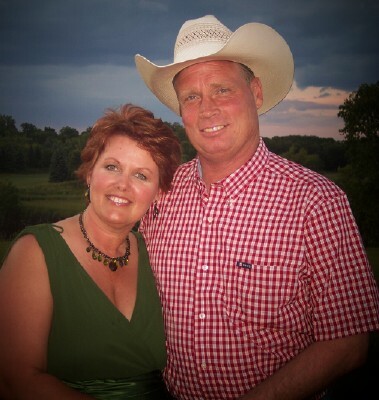 Reagan found a beautiful home with a Eden Prairie, MN. 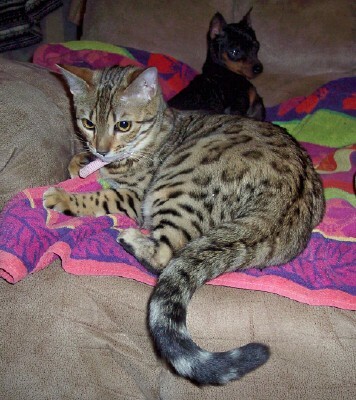 couple. 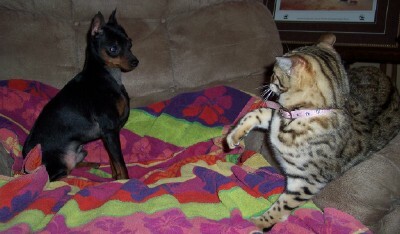 Reagan one of my females, daring the Min Pin to get past her! 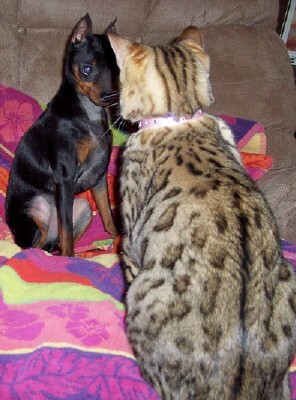 Reagan couldn't decide if she should like this Min Pin or not. 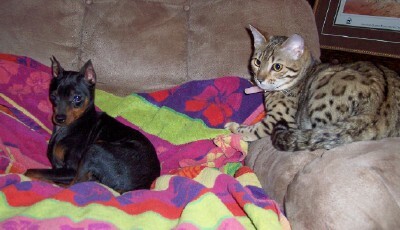 She must have decided she did, she quit swiping at him and laid on the chair with the Min Pin for hours. 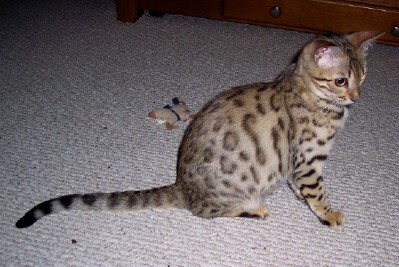 My adult Bengal's include Brown Tabby Spotted, Marble, Snow and Sepia Mink. 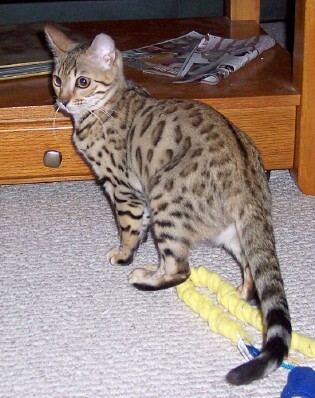 "IW SGC SUWANNEE FUDGE RIPPLE OF BAGHEERA"
"RW SGC BLUEWATER FULL METAL JACKET"